Anyone who knows me knows that I do not love school. As I am completing my last year of college, I find myself trying to "Carsonify" my assignments and make them more fun. For my graphic design class we had to re-design a book cover of our choice. Naturally I wasn't going to choose some boring novel. I had to go with Jane Fonda's Workout Book. There's the picture of the finished product. 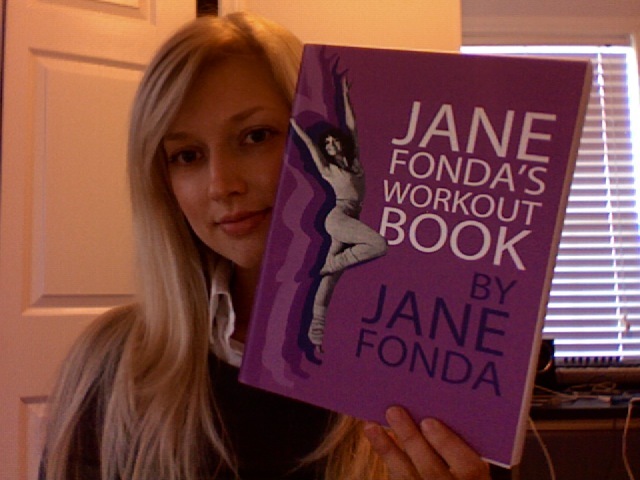 I am forever indebted to Jane for inspiring me to commit to fitness in the 8th grade, when I found my mom's old Jane Fonda Workout VHS. So I freshened up the old book cover with bright colors and fun style. The other picture is of my inflatable sculpture of a lava lamp. I made it in a group and it was 13 feet tall! We filled it with balloons and fabric instead of lava. The sun was shining through it when we completed it, and it looked like a real lamp!